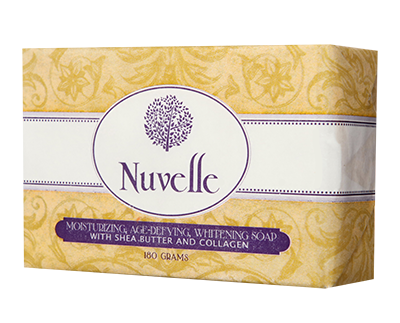 Introducing a breakthrough in organic skincare – Nuvelle Beauty Bar Soap. A pure vegetable soap so gentle with a potent mix of the highest-grade ingredients to bring your skin back to its youthful glow. Nuvelle contains Shea Butter, the best moisturizing product. Shea Butter protects our skin from UV rays, harsh climate and dehydration, making it more supple, nourished and radiant. Shea Butter also helps treat wrinkles, fine lines and crow’s feet with its powerful moisturizing properties.